Data Centre electrical installations and cabling, complete electrical installation services for data centres and back up equipment. 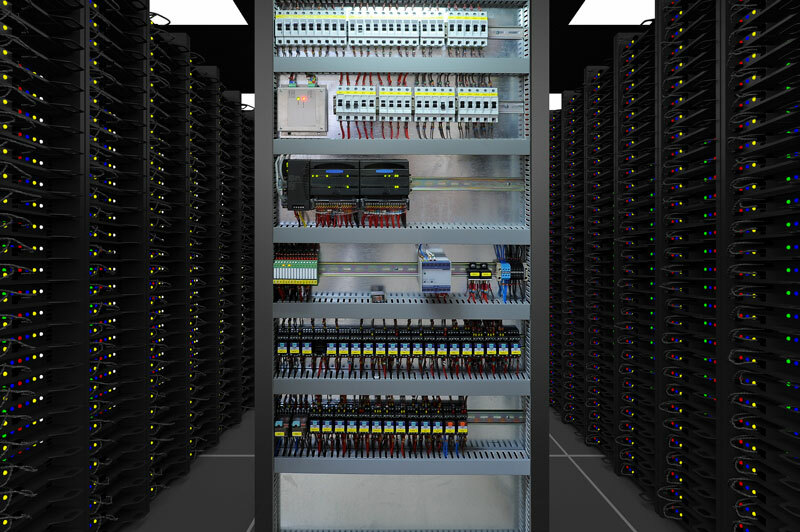 Each data cabinet, server, computer and switch will have an electrical wiring requirement to run and maintain the best performance for that equipment. Sockets will range from standard 13amp UK Plugs, to IEC connections, and 16 and 32amp commando sockets. In the event of a sudden power outage in the communications room or building the UPS will maintain the equipment plugged into the UPS circuit will continue uninterrupted until power is resumed. The limit of support of a UPS is determined by the size of the batteries encased in the system. The generator acts as an extension to the UPS system and feeds continuing power to the UPS and data centre equipment in the event of an extended power outage. Design and installation of the correct UPS is imperative because in the event of a sudden power outage in the communications room or building the UPS will maintain the equipment plugged into the UPS circuit will continue uninterrupted until power is resumed.